Book Your Professional Cleaning for Commercial / Office Cleaning Today! Class A Cleaning has been a provider of professional cleaning to homes and businesses in Wisconsin since 2010. Our home office is located at 313 W. Beltline Hwy, Madison WI. In addition, we service all of Dane County and most of Southern Wisconsin. Also, our mission is to provide a quality cleaning experience done with a “Heart” (care and concern for your well being). In addition, we continue to work hard to deliver a “your health come first” cleaning service, along with affordable pricing, so that day-to-day cleaning is cost effective and enjoyable by all. Overall, no matter what your budget, “Great” cleaning should be done with a “Heart”. Furthermore, with over 7 years in business and 20 years of experience in Professional Cleaning Services, Class A Cleaning will continue to work hard to be your first choice in Madison for the services you want. Our company was founded on detailed cleaning versus what other companies offered as a traditional cleaning. In addition, we recognized the benefits of green cleaning products and found that the results were much better. 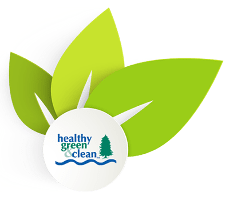 Also, our patented Green Cleaning Products coupled with our exclusive detailed cleaning process had a much longer lasting impact on the cleanliness of our clients homes and businesses. As a result, this led to a healthier environment. In addition, according to the CDC, many allergies as well as flu-like symptoms are triggered by harmful and sometimes toxic cleaning chemicals unwittingly used on a daily basis. Because of this, our personally developed Green Cleaning Products are people, pet and earth safe. Moreover, over 40 percent of our residential clients are made-up of single parent families with multiple duties. This includes children, family activities, involvement with community events, school activities, etc. That being said, many of our customers are short on time while or stewarding over their budget. At Class A Cleaning Professional Cleaning Services we remain very good at being timely, efficient, and conscientious. Lastly, we will continue to work hard at being your trusted cleaning service. Have questions? Don’t like making phone calls? Well you’ve come to the right place. Check out our FAQs. Is Class A Cleaning insured and do you carry workers’ compensation insurance? Yes, Class A Cleaning is fully insured and we carry workman compensation insurance as well. How much will it cost to clean my home or business? Costs are established by the scope of work involved in your cleaning project. That is why we offer a Free consultation either by phone or in-person, as it is nearly impossible to accurately establish pricing without knowing some of the main factors in your unique cleaning needs. Is it a Green Clean or a Traditional clean? Are we using the client's cleaning solvents or our own? There are so many other factors such as square footage, room sizes, amount of bathrooms, that go into an accurate cleaning quote. However you can rest assured with the Class A Cleaning’s superior efficiency system that all of our team members receive training on- we remain one of the most affordably priced cleaning services in Wisconsin..
Not in the case of typical residential cleaning services. A contract is not needed except:in the case of Construction Clean-Ups. Contracts are necessary and in fact are mandated by law- for major projects with Contractors and developers.Also in the case of City, County, State or Federal Government services . However what is common with residential services, is the system of invoicing which can act as a contract when services are rendered? When you submit the ”Book A Cleaning” form, we will receive an email with your information attached. We will call you back, usually within 24 hours, to confirm your cleaning appointment, along with answering all of your questions regarding pricing and scheduling. While we may not be able to tell you the exact time to the minute of our arrival, we will give you an estimated time of arrival that works with your time window. Our cleaning rates are based on “worked hours”. Therefore, if we estimate a cleaning job (at a given rate) based on a total of 4 hours of cleaning, a team of 2 workers will complete the work in 2 hours, or a team of 4 will complete the work in 1 hour. Likewise, a single cleaning worker may complete the work in 4 hours. The number of workers affects how long the cleaning crew will be at your location, but does not affect your pricing. Thank you for choosing Class A Cleaning!